I was trying to figure out if the Beatles ever made an official announcement by the end of 1966 or start of 1967 that they were done touring. I know that there was a lot of talk and most fans understood that they weren't touring again, but was an announcement ever made? In looking for the answer, I discovered this interesting Associated Press Article from March 27, 1969. That last line in this story made me shake my head....yikes. The Beatles will never again perform in public, drummer Ringo Starr said today. "I suppose it's a bit nasty on the fans," he said in an interview. "I'm sorry for them, but no more public shows---never." The Beatles-- John Lennon, Paul McCartney, George Harrison and Ringo will still make records and films. They were to have given their first concert in two years in January, but it was delayed repeatedly and finally postponed indefinitely. Peter Brown, an executive of Apple, the Beatles company said, "We tried to arrange one last concert but it just was not practicable. There were too many obstacles. We will never do it now. we just can no get the right venue." Brown said an open-air arena such as the giant Wembley Stadium would not yield the right kind of Beatles' sound, while a big public hall like Albert Hall is too small for the thousands who would want to attend. Apple spokesmen deny recurring rumors that the Beatles will break up. "Make no mistake -- we shall always stick together," Starr said. "Of course, we have our own separate interests to develop. We shall branch out and pursue our own individual careers, but we shall always be The Beatles." "Despite what the critics say, we are as popular as ever we were. I don't say the Beatles will last forever, but we'll go on for a very long time -- unless we get shot, or something." 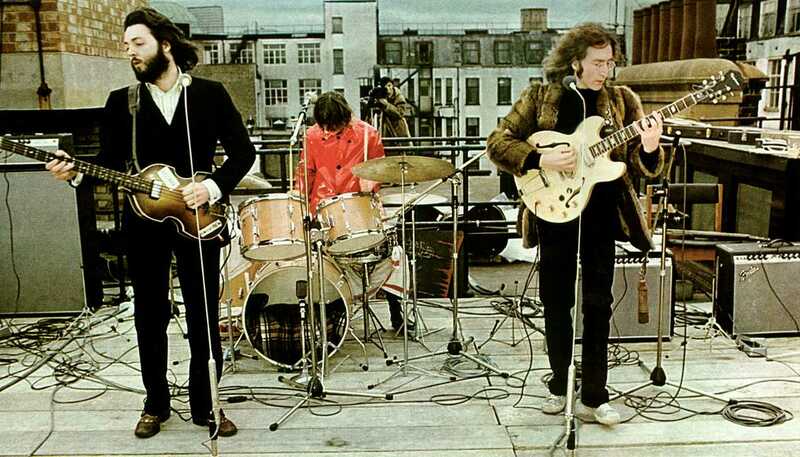 What was classy, and far more memorable than if they had rigged a stadium concert, was going up on the roof in January 69 and performing live to the public without a word to the press and only documentary film-maker to cover a 35 min Beatles concert. 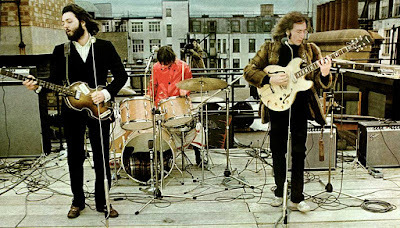 No commercials, no sponsors, no kick-back money, to hell with the millions they could have made for the same gig on a big venue... Just get on the roof and busk. Sheer class, that, and the best possible way to bow out. By jove, great find, Sara! Fascinating! Also: that's a great rooftop pic. Hey thanks for the link to that article, Anonymous!